SAN DIEGO COMIC-CON 2009 | SDTEKKEN.COM - TEKKEN News Resource! We kick off Comic-Con 2009 with our 8th annual gaming room! 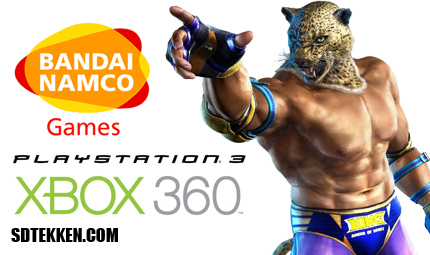 This year we have joined forces with Namco Bandai Games America to bring to you the ultimate Tekken experience! Join us as we run several Tekken 6 tournaments throughout the week. Fight your way through the competition and try to score awesome prizes and take a chance at some amazing giveaways! Limited space is available. Other new and exciting Namco Bandai game titles will also be playable! Stop by Namco Bandai Games at booth #5037 or hang out in Room 17B for non stop Tekken 6 action! We continue the fun with more Tekken 6 action! Join us on Friday for another set of Tekken 6 tournaments and more giveaways! Competition starts at 12 noon! Sign-ups begin at 11:00 AM! Limited space available. Other new and exciting Namco Bandai game titles will also be playable! Stop by Namco Bandai Games at booth #5037 or hang out in Room 17B for non stop Tekken 6 action! We continue the fun with more Tekken 6 action! Join us on Saturday for another set of Tekken 6 tournaments and more giveaways! Competition starts at 12 noon! Sign-ups begin at 11:00 AM! Limited space available. Other new and exciting Namco Bandai game titles will also be playable! Stop by Namco Bandai Games at booth #5037 or hang out in Room 17B for non stop Tekken 6 action! We end Comic-Con 2009 with one more action packed Tekken day! Join us for a fun-filled day of gaming and a chance to play Tekken 6! We’ll have another set of tournaments for you to test your skills! Be prepared! Limited space available. Other new and exciting Namco Bandai game titles will also be playable! Stop by Namco Bandai Games at booth #5037 or hang out in Room 17B for non stop Tekken 6 action! Just a reminder, the gaming room closes early at 4:00 PM! 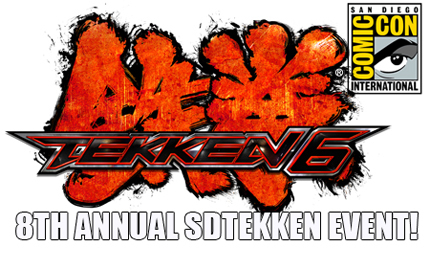 For more information on the SD TEKKEN gaming room, please stay tuned to SDTEKKEN.COM ! For a floorplan and location of Mezzanine Rm. 17B, please visit the Convention Center website.